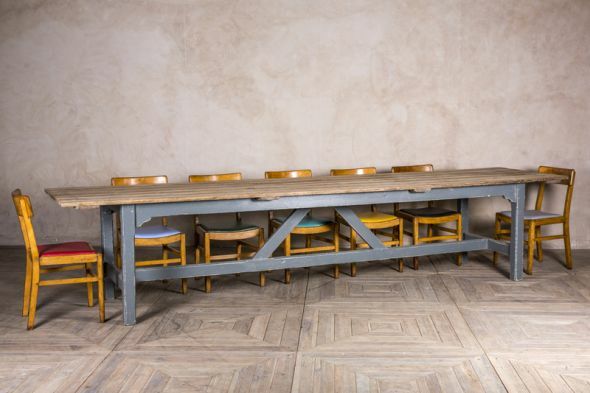 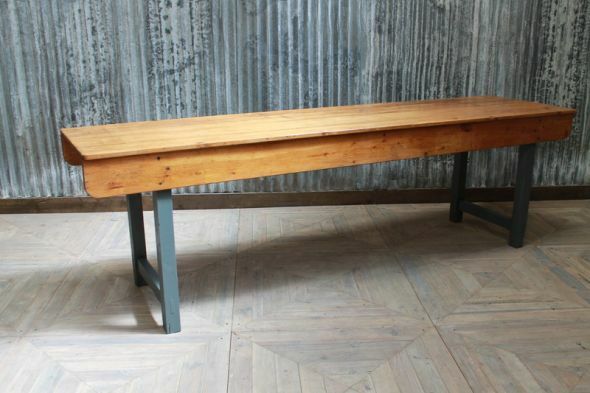 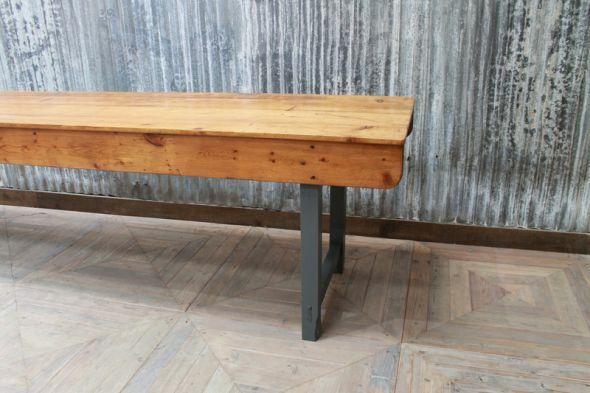 This vintage factory table is the ultimate feature table for a large restaurant, or it could be used as a display table for a shop. 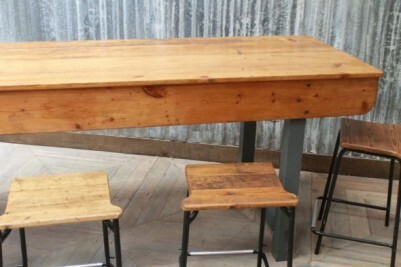 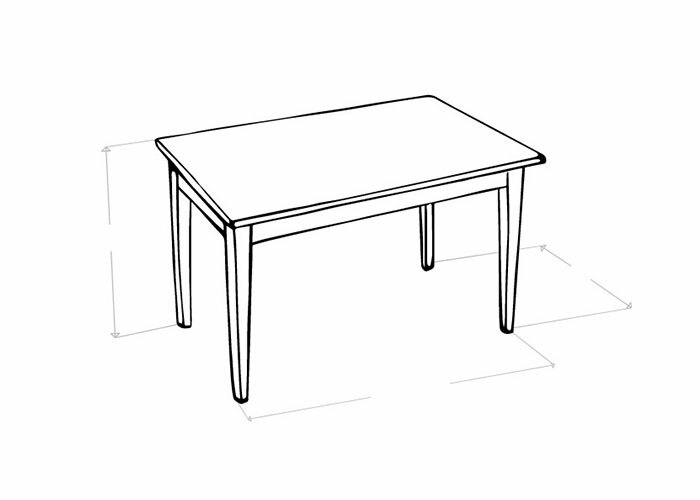 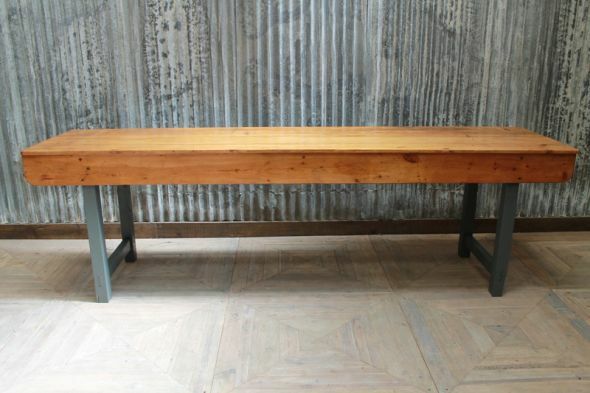 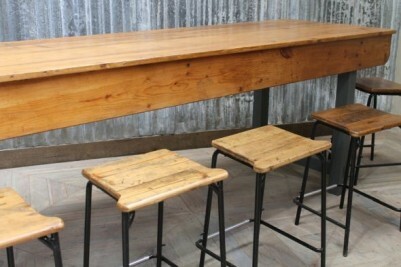 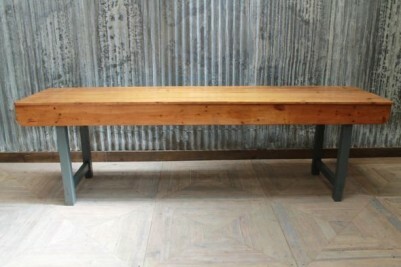 The mid-height table is crafted from solid pine, and would originally have been used in a factory. You can see some of our vintage stools pictured here with the table, but we also have a range of other seating options available. 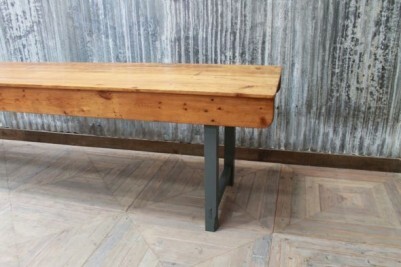 The base is hand-painted in the ‘Down Pipe’ Farrow & Ball paint colour, and the top has a lovely golden patina. 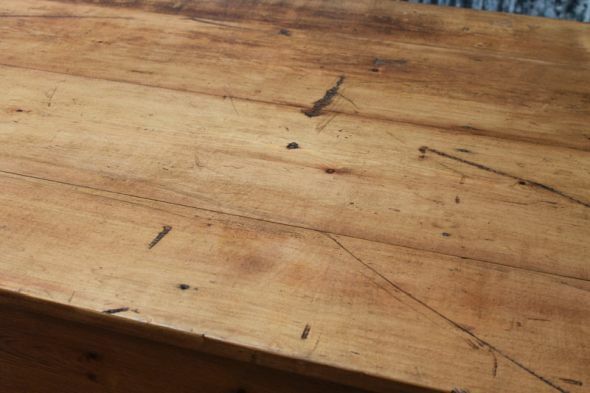 This large pine trestle table is in good condition, with only the usual signs of wear and tear due to its age. 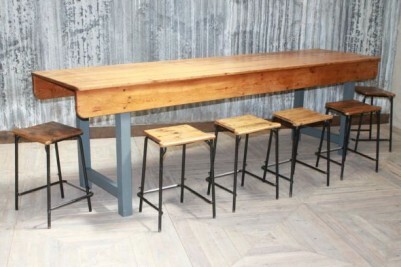 Our mid-height stools are not included in the price, but can be bought separately.